We’re kind of kidding… because we DO know it gets busy, and we also understand that it is SO much more convenient to pop something in microwave or order takeout; however, when you consider what you are putting in those sweet little bodies, we know there are better options. We want to empower you to get in the kitchen with your kids! My kids love cooking and baking with me. It’s such a great opportunity to talk with your kids, learn about their day and learn something together. Children also explore more food options when they own what they’ve made. All of a sudden ingredients like basil and pine nuts are fun and delicious. Yes, really…Wendy and I both have seen this with our own kids. 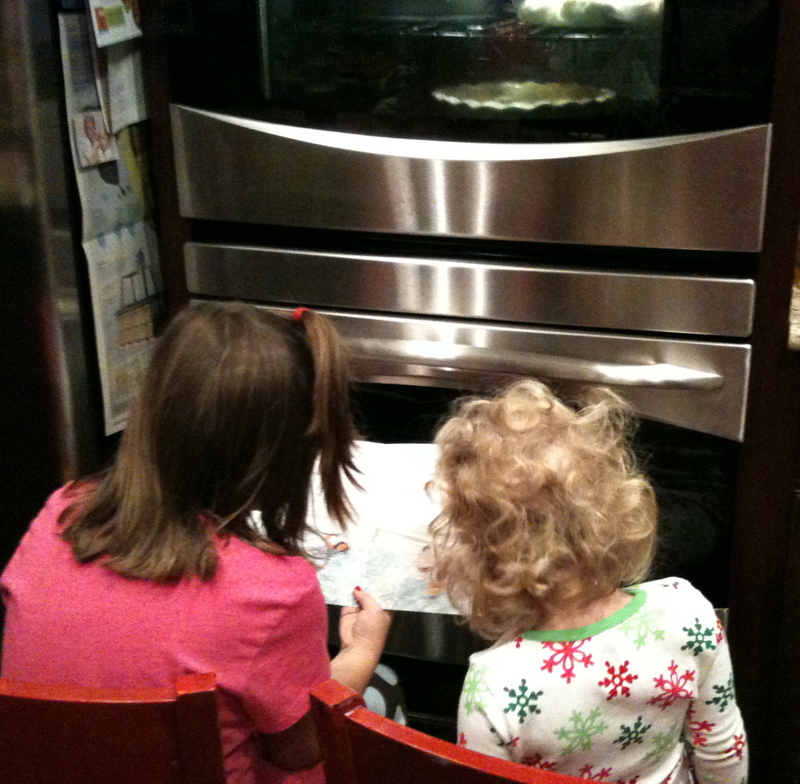 My girls were watching me bake bread last night while my seven-year-old read to my youngest… sisters bonding in the kitchen. It doesn’t get any better. So here’s the plan… We are going to post a new recipe tagged Cook with your Kids!, along with a ‘how to’ video every few days. From homemade mac and cheese to chocolate cake from scratch… we’ve got you covered. We would love to see a photo of you, with your kids, in the kitchen, with your final product! Each week we will choose one family from the entries and we’ll ship off a gift basket of our new JW Food & Design Signature Foods and Gifts. You can email your photo(s) to cookwithyourkids@jwfoodanddesign.com. The logo above is printable as a color sheet for the kids to personalize – include it in your photo! Wendy and I can’t wait to see what y’all discover in the kitchen! Have fun, and remember that every measurement and ingredient is a chance to share something new with the little ones you love so much. Love Your Windows! Treat them Properly.